This is a first blog in a row in which I will share as much as possible knowledge, but especially experience with BPM. This one is about the BPM life cycle, while the next ones will zoom in on each of its 5 basic elements. Let’s first have a quick look at some short clarifications of what BPM really is. Too many people associate BPM with Business Process Modeling. Probably the main cause why BPM is still too often considered as an IT-matter rather than a business one. BPM is about Managing business processes, indeed. It means managing your business, though the process-oriented way. Modeling is just a mean, or a tool, to visualise processes. In other words, to make an abstract and intangible subject like a business process more concrete and visible. Indeed, you can not catch a business process with your hands, you cannot hear or feel it either. Even though you will find many definitions of a business process, it always boils down to describe how to organise work, i.e. who best executes which tasks at what time (in what order) and under which conditions. It usually also includes process inputs and outputs, the resources required, etc. Why a cycle? Because BPM is about continuous improvement of your business (processes). And continuous improvement, by definition, never ends. You will find many versions of the BPM life cycle, most probably some with a different number of steps than the ones described here below. In the paper “Gartner’s position on BPM” (2006), the described “process revision cycle” counted no less than 9 steps. To my experience, the number of the life cycle’s steps is not very relevant. Many organisations would increase their productivity and efficiency significantly by applying a quite simple version of the BPM Life cycle as the one illustrated in this blog. You can better keep it simple but effectively apply it than the way around. However, these 5 basic elements of the BPM life cycle are essential. If processes have never been mapped, then this is the first step you will need to do. It is actually the “as-is modeling” of your process(es) which you want to – continuously – improve. It’s called as-is, because it is basically similar to taking a picture of how the work is organised “as it is today”. Even though you may not want to spend too many efforts in mapping these “as-is” processes, since you want to focus on improving and this “as-is” soon will belong to the past, I still recommend to do it. Indeed, it is easier to determine how and where to improve the process(es). Compare it with navigation, even with a GPS : you do not only need to know your destination, though you better know your current position as well to determine the road, or course, you need to take. The result, say output, of this Process Discovery consists of (as-is) process diagrams, possibly with any more detailed description. 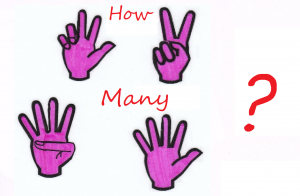 In this blog you will read more on process discovery. 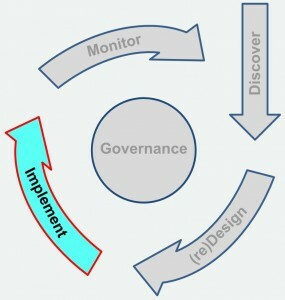 This is the actual process improvement identification phase: as you will read in a next blog, you may use many different techniques that will help you to spot potential improvements: from streamlining by finding & removing ‘wastes’ in the process, to process automation, e.g. digitisation or robotisation. This step results in so called “to-be” process(es), and ideally also a roadmap describing how to achieve these redesigned processes; say an implementation plan. Mind the ‘re’ of redesign between brackets in the title, since when you develop a new process, e.g. after developing a new product or service, you might design the business process totally from scratch, hence “Design”. While when you look for improving an existing process, it will be “Redesign”. 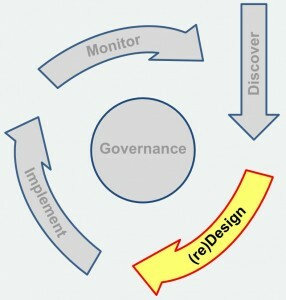 To learn more about process (re)design techniques, have a look at this blog. Once the process is (re)designed, it’s time to put it into practice, so it is ready for execution. Mind that after implementation, the redesigned processes will become the new “as is” version. Process implementation includes the change (management) to get the transformation done, and thus requires clear communication to all the process stakeholders. E.g. explaining the why of the transformation, what will be expected from whom, etc. It thus requires a solid support and coordination to help people to “find their way” in the changed process. 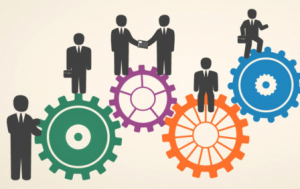 For more on business process implementation, read this blog. When you want to continuously improve your business (processes), you need to measure how well the execution is going : Are the planned improvements really paying off? Are there bottlenecks or possible new improvement opportunities?, etc. Process indicators or metrics, ideally related to higher KPI’s (Key Performance Indicators), are well-common means to measure the process effectiveness and efficiency, as illustrated in this previous blog. Since processes very often cross through many organisational units – and functional departments as well -, process monitoring is best carried out by a single person or team who has a holistic view on an entire process. What usually is called a process owner. To read more on process monitoring, have a look at this blog. Although this is not a step of the life cycle itself, it is not less important for a successful organisation-wide application of BPM. In other words, it enables, facilitates and steers the execution of BPM. Especially when you want your entire organisation to apply BPM in a coherent way, process governance is rather essential as well. One of the risks of having no process governance is for instance that one organisational unit uses very different (BPM) methods and tools than another unit. This way, BPM might be the cause of silo’s itself, while one of its main purposes is, in the contrary, to break down organisational silos. Imagine for instance a unit using BPMN-diagrams for modelling, while another unit uses EPC-diagrams, or even different modelling tools. Can you imagine the challenge this might create when these 2 organisational units will map business processes crossing both units? However, this is unfortunately sometimes reality – and I have experienced it myself several times in large organisations. 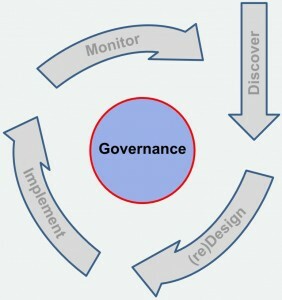 Read also this blog, which is dedicated to Business Process Governance. 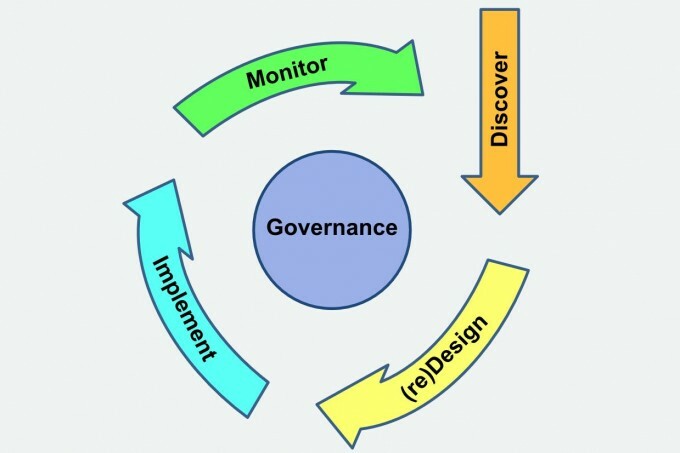 Mind that you will find many versions of the BPM life cycle, often with more than these 4 steps or 5 elements; in such cases, it is often a further split of these 4 basic steps, whether or not without the process governance part. Mind also that once you have accomplished the cycle for the 1st time, while you keep going to the next cycle (2nd, 3rd, etc. ), you may actually skip the process discovery step. Indeed, in this case your source of improvement opportunities will rather be the process monitoring step (or previous cycle). And the “as-is” processes, in this case, are those which are already in place (implemented and executed), of which you already have diagrams. Hence, there is no “discovery” anymore needed. In this blog, I mentioned the similarity between the BPM life cycle and other continuous improvement frameworks. Among others, the Deming circle, also known as PDCA (Plan-Do-Check-Act) circle. The “plan” step is actually similar to the process (re)design step, possibly including the (onetime) process discovery. Indeed, in both cases you plan how to improve your process or activities. This step is quite comparable to the process implementation, as you execute what you planned in previous step, i.e. the plan for improvement. In this step, like in BPM’s process monitoring, you check whether the process is – or has been – executed ‘as designed’ (or as planned). Moreover, you further look for (new) potential improvements. At first glance, this step is not very explicitly comparable with one of the steps of the BPM life cycle. It is about the decision to act based on the discrepancies between what you Planned to achieve and what you finally observe during the Check phase. Though when you apply the BPM life cycle as it is meant to, i.e. to continuously proceed with the next step of the cycle, you will “Act” systematically by redesigning an even better business process. Hence, you might consider the decision of “going for the next cycle” as the Act of the PDCA-cycle. In next blogs (not necessarily the next), you will read in quite details how to start with BPM, These will be illustrated with practical examples “from the trenches”. Even though process discovery should take place only once for a specific process when you apply BPM in ‘continuous mode’, it seems often to be a tough threshold for many organisations to start with BPM. While it is – as you will see – no ‘rocket science’ at all. What is your experience with BPM – or other continuous improvement methods – in your organisation? Or do you have questions or remarks so far about the BPM life cycle? Please share your experience, remarks or questions through below Comment box.